Ruck a cumulative 1,000 pounds the distance of 1 mile. Wait, I want to sign up for February. 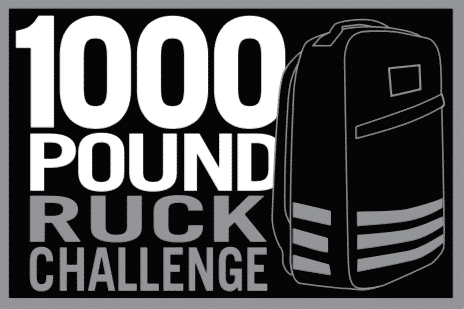 Your challenge is to ruck a cumulative of 1,000 pounds the distance of one mile. In order to accomplish this goal, your weight will accumulate every mile you ruck. Rucking 100 pounds 10 miles = 1,000 pounds rucked 1 mile. Rucking 25 pounds 40 miles = 1,000 pounds rucked 1 mile. Use this worksheet to keep track of your weight, miles, and cumulative weight rucked. Still confused? Here's an example worksheet. Everyone who signs up gets a patch. Patch design by Jason Hendrickson. 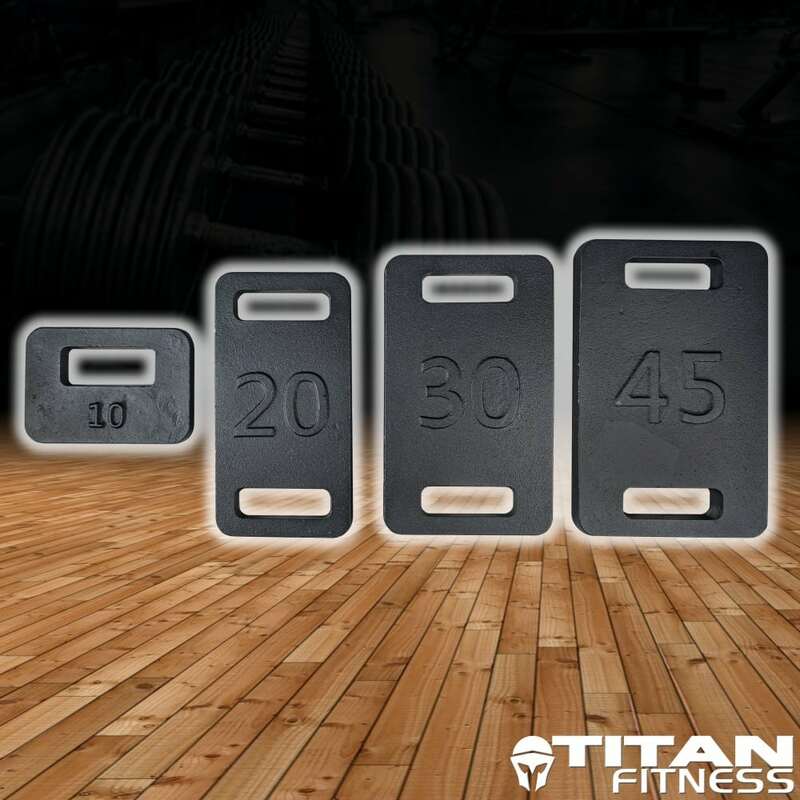 If you’re looking to add some weight to your ruck, Titan Fitness Ruck Weights are a solid, cost effective, way to make it happen. Designed to fit in the laptop compartment of most any backpack or ruck, these plates provide maximum weight while reducing space usage. Check them out! Chance to Win Gear Every Month! *By registering you agree to receive email updates regarding this and other monthly Ruck Challenges. We won’t sell your email address or spam you. That would be lame. You can unsubscribe from this list at any time. $10 Rucking Challenge Subscriptions will be renewed monthly based on the date you sign up. You may cancel your subscription at any time. 1. Do I need to pay you in order to do this challenge? Nope. Everyone is welcome to step up and do this challenge. If you pay to sign up you'll get a patch and a chance to win some gear. 2. Do I have to ruck all the weight in one go? Nope. You can break it up over the month however you see fit. 3. What happens if I don't complete the challenge? Well... nothing. You still get the patch and can still win the gear. 4. Why is the subscription price lower than the single entry price? Because, we want you to sign up for the subscription. 5. I'm not sure I want to subscribe. What if next month's challenge is too hard or the prize isn't as cool? The more people that sign up and subscribe, the more cool stuff we can give away. And, we are designing challenges that can accommodate all level of ruckers. 6. Is Titan Fitness sponsoring this? Yup. They are sponsoring the March challenge. Show them some love and visit their site. 7. Who is running this thing? My name is Ryan. I run Ruck.Beer, Ruck.Training, and Rucking.com. I kinda like rucking. My email is in question 9 if you wanna ask me anything. 8. How do I cancel a subscription? Email me at the address in question 9 and we will cancel your subscription ASAP. 9. I have more questions and/or I want to be a sponsor. What should I do? 10. What do I do now? Click the button below and sign up. 11. When do I get my patch? It should be in your mailbox before the end of March. 12. What about International folks? We ship patches internationally at no additional cost. If you win one of the Ruck Weights, you will be responsible for shipping fees which range from $65-$170 depending on the weight and your location. (Sorry, shipping weights is crazy expensive).